I spent a week with my family at the beach this summer, and one of the many dishes I made during that sunny, seafood-infused time was this cinnamon-and-sugar topped blueberry buckle. 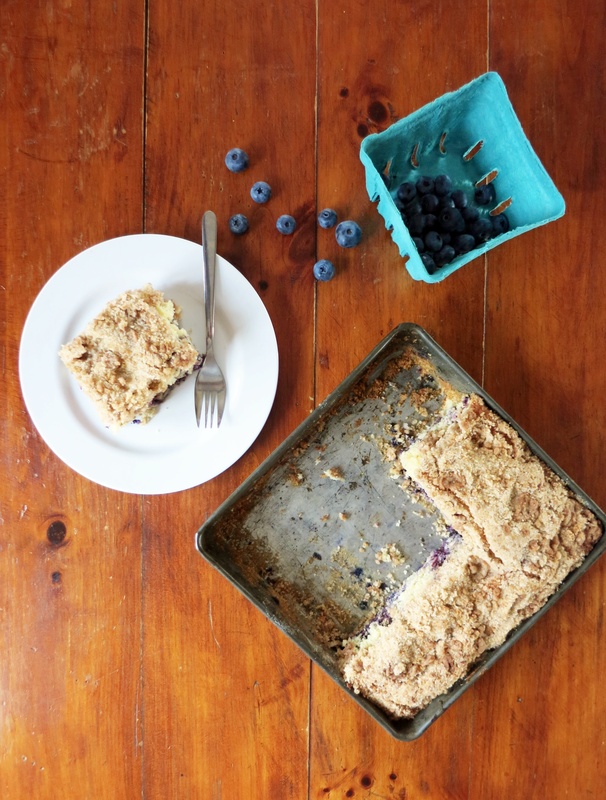 Blueberry Buckle made with fresh summer blueberries. 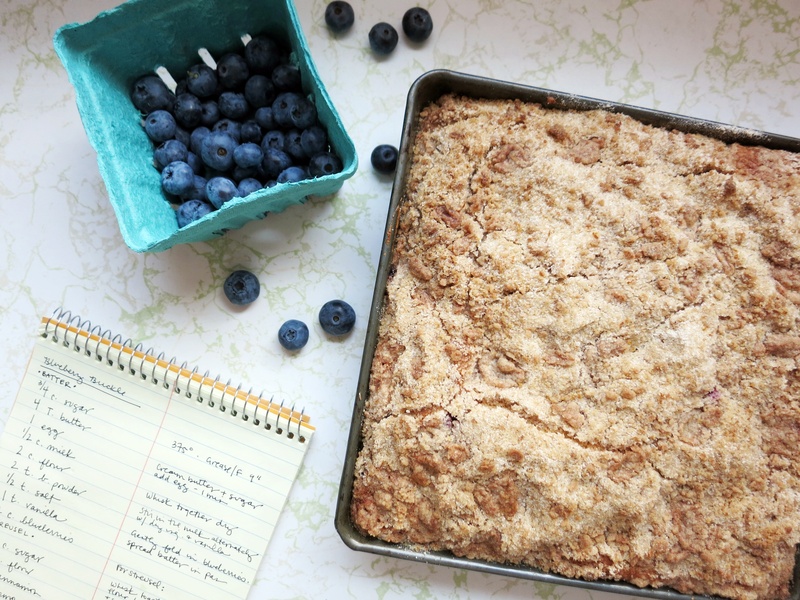 Blueberry buckle is basically a crumb-topped blueberry coffee cake that’s especially popular in Maine, the state that loves blueberries so much they made blueberry pie the official state dessert in 2011. Blueberry plants grow well in Maine because their hardy nature allows them to withstand the state’s brutal winter weather and rough soil. In fact, over 98% of the nation’s low bush blueberries are harvested in Maine. I’ve shared a similar version of Blueberry Buckle before, but this one is larger and has double the blueberries. I love recipes like this because they’re so easy, which is extra helpful in a rental kitchen. One bowl, one pan, and you’re done. We ate squares of buckle for breakfast with coffee, as an afternoon snack, and topped with ice cream for dessert. How can you go wrong with a dish that’s perfect all day long? The answer is: you cannot. Perfect with coffee for breakfast, or ice cream for dessert. This cake is exceptionally moist with a sweet, powdery crumb. It’s a great way to use up some of the summer’s delicious fresh blueberries, but frozen berries would work, too. Just be sure to use a gentle hand when folding them into the batter — too vigorous a stir and you’ll end up with purple batter. Enjoy it while you still can! Preheat the oven to 375°F and lightly grease a 9-inch cake pan. You can also use an 8-inch pan, but if you do, make sure the sides are at least 2-inches deep. First, make the topping. Mix the sugar, flour, cinnamon, and salt in a small bowl. Cut or rub in the butter until crumbly. Set aside. In a medium bowl, whisk together the flour, baking powder, and salt. In a separate bowl, beat together the sugar, butter, egg, and vanilla. Alternately add the milk and the flour mixture to the sugar/butter mixture, ending with flour. Add the blueberries, stirring only enough to blend. 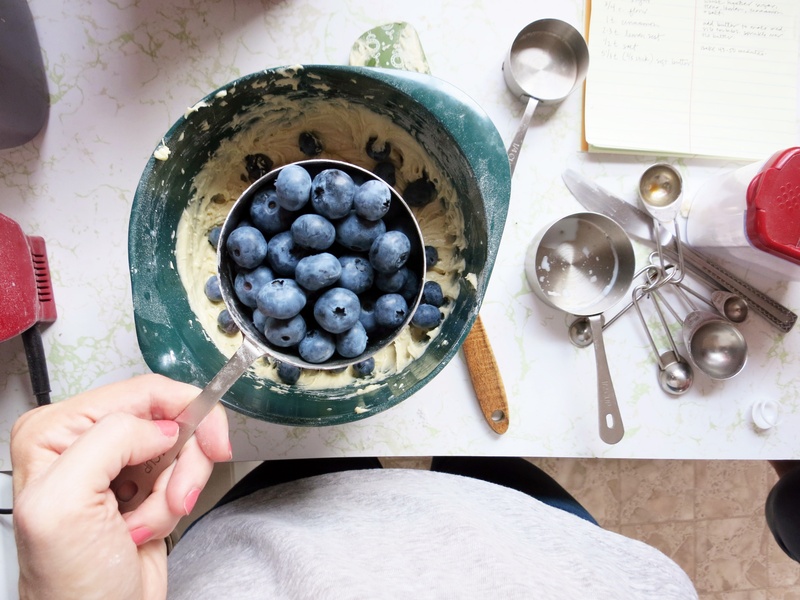 Toss the blueberries in a small amount of flour first, if you like, to prevent them from sinking to the bottom. Pour the batter into the prepared pan, then sprinkle the topping over the batter. Bake 40 to 45 minutes, or until a toothpick or knife inserted into the center comes out clean. 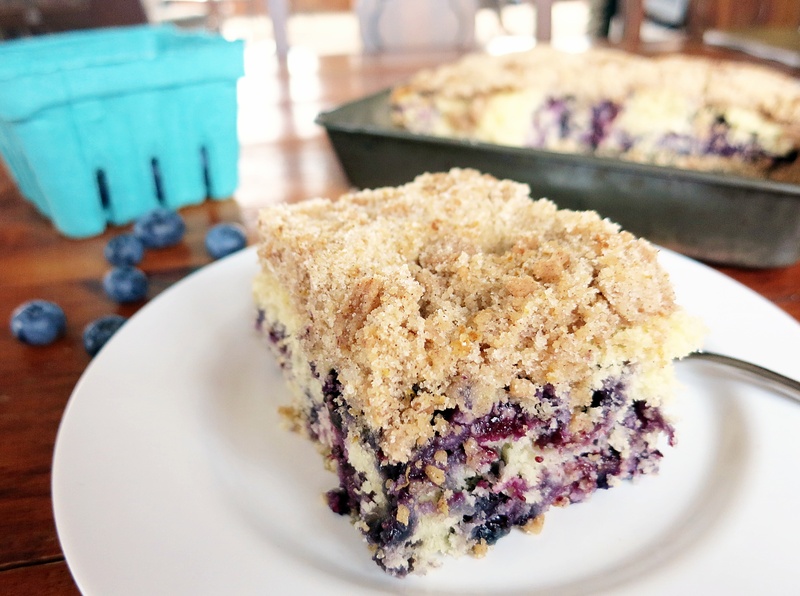 Click to view and print the recipe for Summer Blueberry Buckle. Beautiful! I’ve never made a buckle – will have to try it. 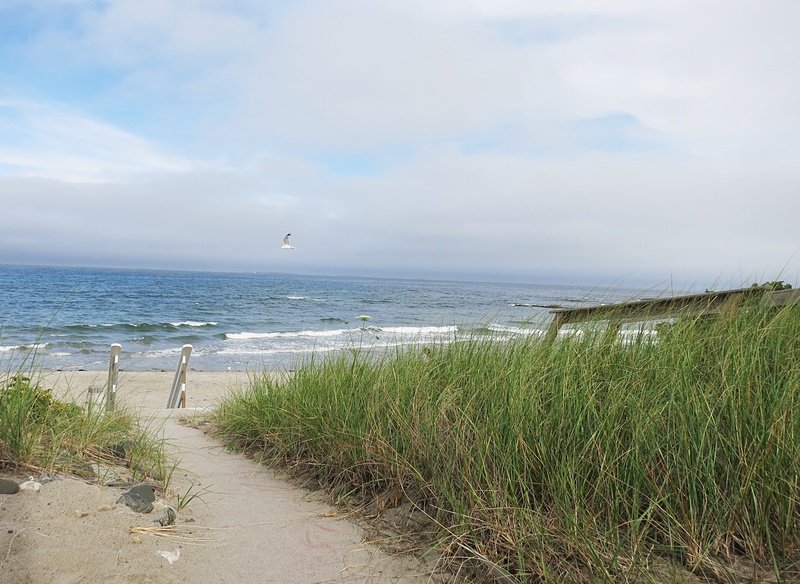 What beach is this?